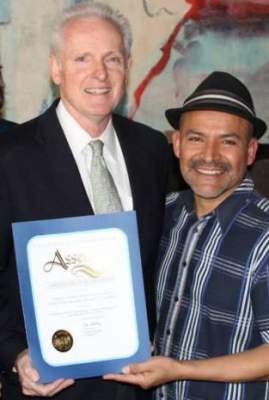 OC Politics Blog | Will Solorio’s efforts to register Latino voters cost Daly his Assembly seat? Say what you will about Jose Solorio, but he knows the score. As the Democratic Party’s sole candidate in the race to replace Lou Correa in the 34th State Senate District, Solorio is quite aware that he must pull out all the stops in order to beat the leading Republican candidate, and Queen of corruption, Janet Nguyen, in what is a very purple district. Solorio is banking on a massive voter registration effort to get out the Latino vote, which has few reasons to support Nguyen or her GOP opponent, Dr. Long Pham. But this very effort is also threatening to undermine another Democrat, Tom Daly, who has no business representing the overlapping 69th Assembly District. Daly was elected in 2012 when three Latino Democrats ran against him in that year’s Open Primary Election. One of those candidates, a little-known accountant named Francisco Barragan, barely ran a campaign but the 600 votes he totaled was enough to cost another of these candidates, labor organizer Julio Perez, the victory. Barragan was recently caught stalking the leading Republican candidate who is running against Daly, SAUSD Trustee Cecilia Iglesias, on her Facebook page. And I am hearing that he has been promoting Daly in the Latino community. It is highly unlikely that Barragan’s paltry efforts will save Daly. Every new Latino voter that Solorio’s machine registers is another nail in Daly’s coffin. Even worse for Daly, somebody convinced an unknown Republican, Sherry Walker, to put her name on the ballot too. This will be an epic backfire for Daly as she will take votes away from him, not from Iglesias. Daly will surely advance to the November General Election, in our Open Primary Top Two election system, but a weak ballot performance in June will make it harder for him to raise money for the General Election. 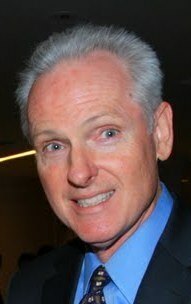 Daly was notably against Latinos and the poor when he served as the Mayor of Anaheim. 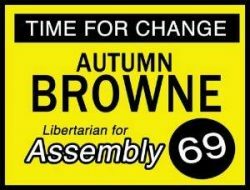 Today he is opposed to the ballot measure that proposes to change Anaheim’s City Council election system to a Ward Specific model. That change will help to elect minority Council Members in a city that is increasingly diverse but is still run by white Council Members. Daly also supported the giveaway of millions of tax dollars to a wealthy Hotel developer. That Hotel Tax money was supposed to be spent on libraries and parks! None of these stances will help Daly as he tries to appeal to Latino voters. And to make matters worse for him, Iglesias has the support of popular Anaheim Mayor Tom Tait. Solorio is by the way an old friend of Daly’s. And he is now in the awkward position of perhaps costing Daly any hope of winning in November, by registering more Latino voters in a district that is Orange County’s most Hispanic legislative seat. Iglesias, an immigrant from El Salvador, was the top vote-getter in Santa Ana when she ran for the SAUSD School Board in 2012. She previously collected over 10,000 signatures when she ran for Congress as an independent candidate. She works for State Senator Mimi Walters and because of that Iglesias is widely known throughout Orange County and in Sacramento. The best of outcomes for the area’s Latino voters will be victories by Solorio and Iglesias. And that will leave Daly in the dust – which is not what Solorio wanted but is most likely what is going to happen.